My situation is very similar to the writers, as are my symptoms. I was a youth pastor for two years and a senior pastor for 6 years. Both experiences ended with pain and suffering. I have been out of church ministry now for almost 5 years. I struggle often with both the hurtful things that were done to me by others, and much worse, the hurtful things I did to others. My wife and kids long for the connection that is found in church, I run from it. When I hear the words “calling” or “blessing” or any other forms of christianese, a fire begins to burn deep down inside. I easily become angry and want to lash out at those around me. I keep hoping for those feelings to go away, and feel guilty that I feel this way, but I cannot deny that it happens often. After reading the article, I think that it might be a good idea for me and others to help reform the church and eradicate this force that tears churches apart. That is, if I can ever muster up the courage to get involved again. At least it is some comfort to hear that others are experiencing the same thing. -Thanks for the post Dr. Phil! I have PTSD, caused by severe childhood abuse, but I also was spiritually abused as an adult by a minister, who also ‘groomed’ me for sexual gain. I do believe after all the research I have done, that the trauma caused by the different types of abuse within some church’s – could indeed cause PTSD. Absolutely yes, this is possible. Some church’s are not of God, and are abusive and condone it all. 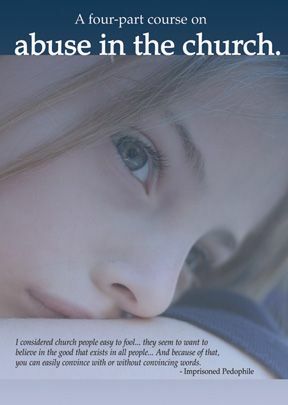 I believe the trauma caused by abusive church’s could cause PTSD. I have a PTSD diagnosis due to abuse throughout childhood and into early adult years. ALL of it was connected to church. Every abuser was connected to some sort of full time ministry and the abuse was always covered up by those in ministry. As I have recently worked through these things in counseling, I have stopped going to church, even though I now have a wonderful church. It is simply too hard. I have not cut myself off from all believers, but sitting at church, even in a church that is completely different from the abuses I grew up under, is incredibly difficult. The panic starts in just thinking about going. If I make it there, I spend the time trying to stop shaking and block out memories and fears. I can’t hear the speaker. In my particular situation, there are ongoing investigations that includes some of the abuse I experienced. Those at my church are largely unaware of my connection to any of it, but almost every time I am with a group of them, the subject comes up and I learn that there are those who defend the abusers believing that what I know to be true, didn’t happen. For me, church is the hardest place to be. It can easily break apart the things I am trying to learn about God. I feel exactly the same way. I want church to be small. One on one friendships at different points during the month, no religious off I list ion. Just true friendship Biblical sound growth and recovery time. Absolutely. I think any traumatic experience could potentially cause PTSD. Thank you for addressing a topic that too many of us have experienced. I resonate with your friend’s comment that we tend to accept the meanness. As pastor’s wives we wrestle over how to respond, if an honest response will stir up bigger problems, and so forth. And usually we are just too tired to deal with it. I’ve experienced the symptoms myself and worked with many pastor’s wives so I no longer use quotes for church or ministry PTSD. Now with coaching and training available for women in this unique role of being the pastor’s wife, I trust we can inspire change. Absolutely, its called spiritual abuse. Look up Elizabeth Esther’s blog, its a great resource for those recovering. Thank you for writing about this. It is real and those of us who have suffered need acknowledgment that is was abuse and should not be accepted practice in the church. I have complex PTSD and been to a cancer for a year and it did not work out as much as I’d like to. I am not on medications. I do vitamins. I have been to three churches in the valley where I live and bring my kids with me because of an overwhelming guilty feeling when I do not go. I understand that the church is the body and we are the temple in which we worship God and a personal relationship with Jesus is here inside us. But to actually ping pong a relationship back and forth with other believers is difficult when you go to church and you mostly find aggressive religious Pharisees and Narcissists. A person with PTSD can’t survive the Pharisees and narcissists. Especially after packing two kids there. So what can a mom like me do?